Submerged between the north Atlantic’s icy waters in an otherworldly jut of colossal rock, guests will metaphorically dive to nearly five metres below the ocean’s surface, the marine floor their unique backdrop – and to an ecosystem that’s relatively unexplored. Lighting, sound and smell will be used to attract plankton and cod to the area in what is a rare chance to see the area's diverse marine life in their natural habitat, from enormous cod and colourful lip fish to lobsters, seals, sharks and dogfish. It's all particularly spectacular during a roaring Atlantic storm – as guests stay toasty inside, of course. 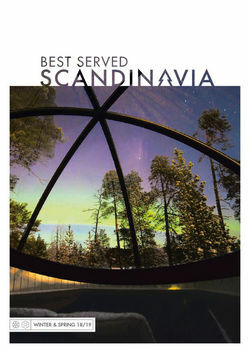 But, far from matching outside’s concrete, inside will be rather a more refined and, naturally, Scandic affair. A wood-clad mezzanine introduces guests to the pared-back, ultra-contemporary aesthetic before they're lead down to the wood-panelled, glass-walled dining area with space for up to 100 diners. 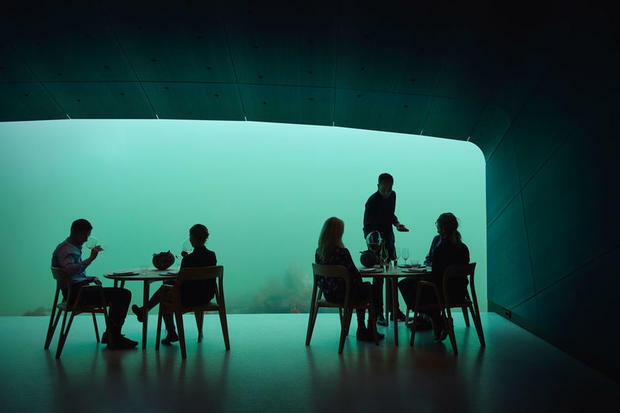 Guests will enjoy tasters such as sea shell-shaped crispy seaweed bites in the mezzanine area before they descend down to the dining room. 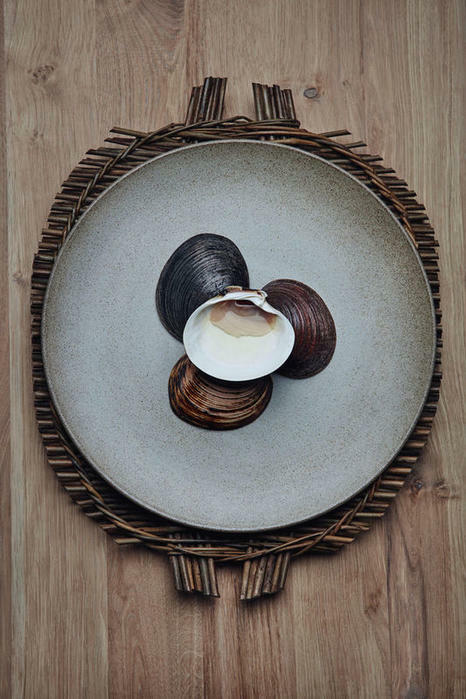 As expected, the menu is plucked directly from the other side of the glass, with a focus on ‘pure’ flavours; the likes of sea rocket, salty kale, mushrooms and berries are fermented, pickled and dried to ensure full flavours in every season. 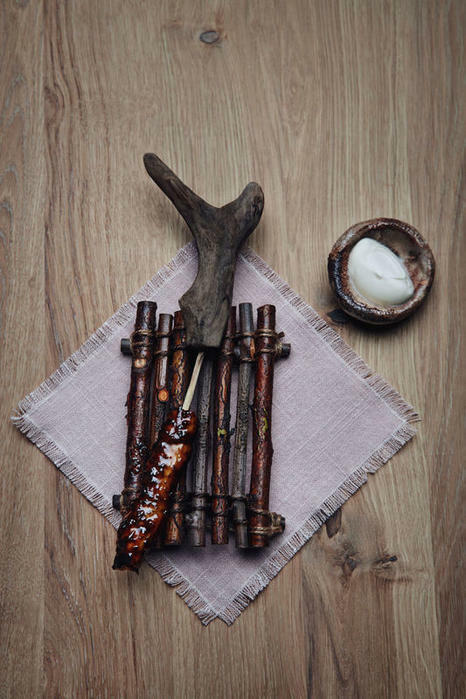 Unsurprisingly, seafood will be the star of the show, but seabirds and local wild sheep that have grazed in the surrounding landscapes will also be served in a 15-dish set menu, alongside such ingredients as roses, white currant, organic cucumber and roasted buckwheat koji. Sommelier-paired wines are on hand, although 'Under' also promises just-as excellent non-alcoholic signature cocktails and drinks which will be showcased in a sensory pairing with the accompanying dishes. 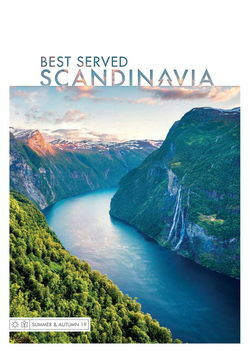 Don’t expect to peruse a specials board beforehand though – the head chef, Nicolai Ellitsgaard, keeps the menu fervently enigmatic. 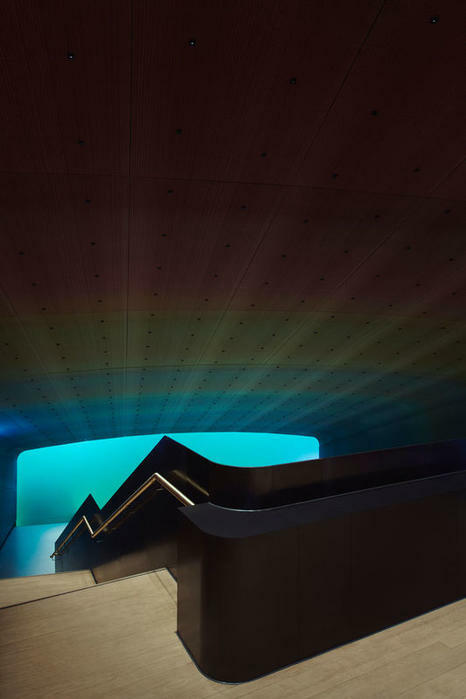 It makes the experience all the more exciting, especially with the knowledge that Ellitsgaard's accolades include years at acclaimed restaurant Måltid in Norway's Kristiansand. He here leads an international 16-strong team with years of Michelin experience under their belts. Guests are just a glass wall away from the roaring sea, but it is all perfectly safe. 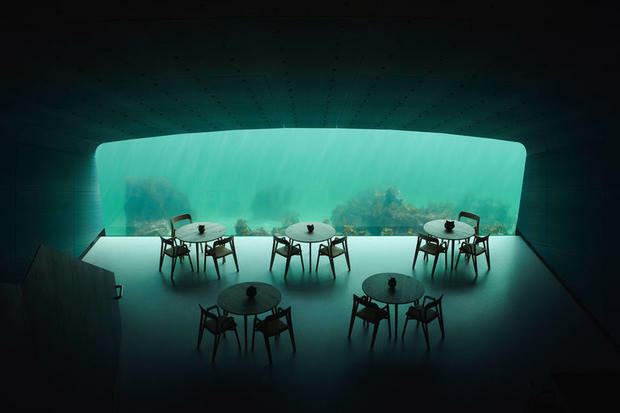 After careful scrutinisation of the area's weather, even taking into account the notion of a thousand-year wave, scientists created a specific type of concrete panoramic window, designed to sustain underwater conditions and enormous pressure. 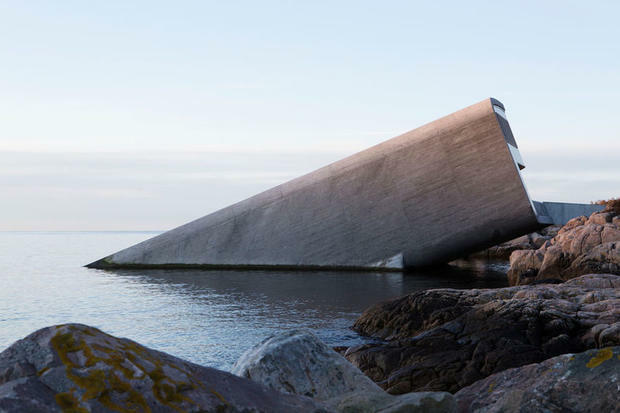 A seemingly difficult feat, but one that Nordic countries don’t seem to have any trouble adjusting to – according to 'Under''s project manager, building underwater structures has been done since the 1970s in Norway. 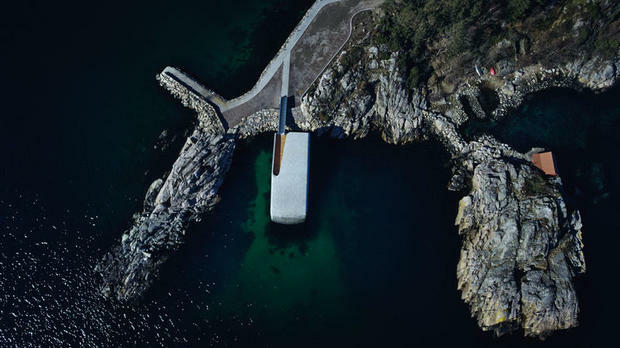 Under in Lindesnes is open for bookings now and can be reached from Bergen and Oslo – contact us for more details.